A very big thank you to all that came out to the Cleveland Handmade Market last Saturday. The weather was fair and it was a perfect day to check out the creatives that live right here in the area. There were about twenty or so vendors selling their wares in the beautiful Tower Press Building on Superior. It was so sweet to meet so many nice people! 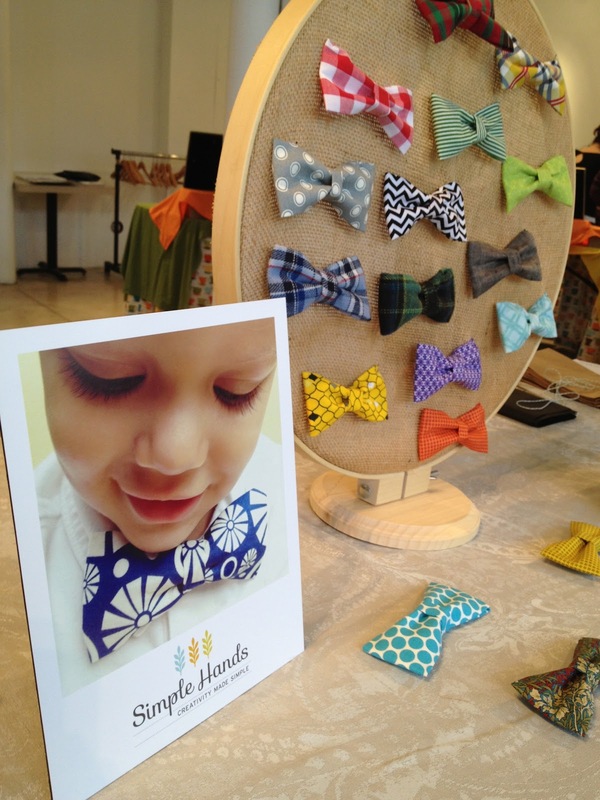 O and JJ made an appearance and little man was spotted as the Etsy bow tie baby! He has no idea how many people have seen his face. Hopefully he won't be annoyed when he's older! I think the new hoop displays worked out great! The giant gold balloons were a hit with me and near the end of the show Santa and Mrs. Claus showed up to say hi! Thanks again for coming out! Now I'll be back in my workshop getting things ready for Last Minute Market on the 15th!